If you’re dreaming of a scenic, culturally rich and unforgettable holiday destination, you can hardly do better than a trip to Turkey. This is a country steeped in cultural history and tradition, opportunities for exploration both in the cities and out in nature, and the chance to try things you’ve never done before. 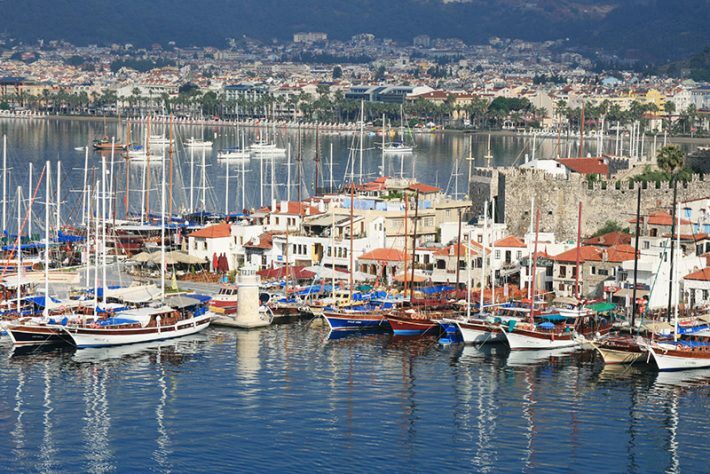 And one of those things definitely must be a gulet cruise in Turkey! If you’ve never heard of a gulet cruise, you’ll soon see why this exquisite activity is a must-do on your next holiday to Turkey! So what is a gulet, anyway, and what makes it such a special way to explore Turkey? A gulet is a wooden yacht specially chartered in Southern Turkey. It’s a unique experience to Turkey, as the vessels are handcrafted in the country. 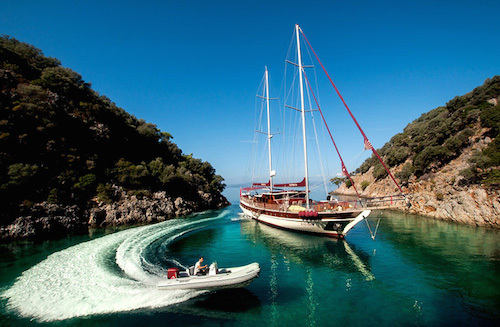 With Gulet charter Turkey, you can either charter your own private gulet, or charter a cabin in a shared yacht. Either way, you’re bound for one of the most romantic, exciting and spectacular experiences of your life. On a gulet cruise, you’ll get to see parts of Turkey that you’d never get to experience traveling through other methods in the country. You will be right in the jewel of the Mediterranean, with the peace and tranquility of so much untouched coastline spread before you, and the crystal clear turquoise waters all around. You’ll stop for gorgeous swims in the clear blue seas, explore ancient archaeological sites on the shorelines, and really experience Turkey in a unique and authentic way. Not only are gulet yachts an incredible way to see the coastline of Turkey, but it’s the perfect opportunity to enjoy a luxurious experience with someone you love. On a guided gulet cruise, you’ll enjoy five-star meals prepared by the onboard chefs, and enjoy delectable local wines on board while cruising through the gorgeous sea. Your comfort is of the utmost importance and you will enjoy a beautiful room on the Turkish yacht designed for your luxury and enjoyment. Above all, a gulet cruise is something so unique and unforgettable that you absolutely must include it in your itinerary to Turkey. This is a new experience you will treasure for years, and your photos and memories will last forever. In addition to the cruise itself, you’ll also have the chance to try new activities like kayaking and snorkeling, take expeditions onshore and explore the local sites in Turkey. No matter what activities you decide to do, this experience will be a magical and unforgettable one that you’ll always be glad you took the leap for!